I started rewriting it again a few days ago. I had the chapters outlined. I thought it was going to work and I was sure I only needed to get the drecky draft down of this new version. But somewhere along the way I found myself looking at my orange laptop with squinty eyes. You know that look, right? That wait-a-minute-something-is-not-right-here look? And not because my laptop is orange. The more I thought about it, the more I realized it was my villain. He didn’t make any sense! The ONLY reason he was doing what he was doing was because I needed things to be hard for my hero. Which, yeah, your hero needs trials so he can grow, yada, yada, yada. BUT there should be some kind of rhyme or reason to it, right? The villain needs to have a plan. Sure he has goals and aspirations (Cue the song I Have a Dream from Tangled), but how is he going to get there? He needs a really GREAT PLAN, of course! If your villain is just standing there in his black cape and top hat, twirling his freshly oiled, deep black mustache and rubbing his hands together while muttering, “Now, THIS will be hard for that dratted hero!” then something is wrong. Eureka! I see why my villain has made the choices he has. I see what he’s trying to accomplish. And I finally understand his villainous plan! I kept trying to force my hero down a certain path. I thought I knew the hardships he should face. But they didn’t make any sense from the villain’s POV. So, then when I finally found the RIGHT (bad) path for my hero (based on the villain’s plans), it was fantastic, like birds starting singing. 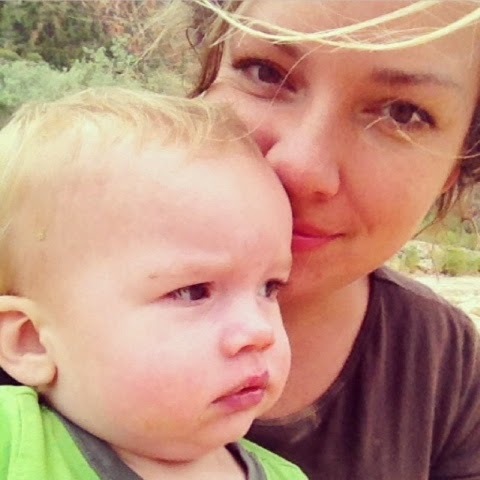 Of course, bad things are on the horizon for my hero, so those birds were probably singing really horrible tunes. Like country love ballads. From the 80’s. Do you need help figuring your villain out, too? Try asking yourself these 35 questions. Hopefully, by the time you answer all of them you’ll hear birds singing Islands in the Streams and All My Ex’s Live in Texas. 1. What does the villain want? What is his motivation? 2. 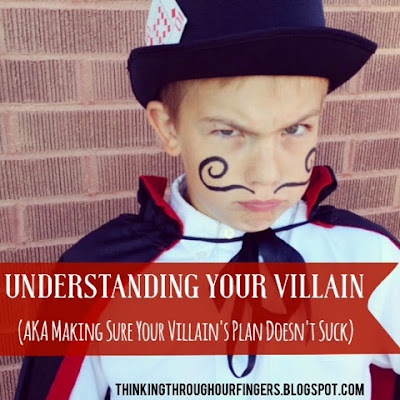 What is your villain’s plan? 3. What does he see as his obstacles? 4. What does he think are his strengths? 5. What are his actual strengths? 6. Who is helping him with his plan and why? 7. Is his public image different than his private image? In what ways? 8. What are his flaws? Is he aware of them? 9. How did he become capable of committing the crime you’ve concocted for him? 10. Why is he doing what he’s doing? Is he only helping himself or does he imagine this will help others? And how? 12. Does his behavior match his personality? 13. How does the villain see the hero? As a threat? A possible ally? Or as a minor inconvenience? 14. Does he have any strange quirks? And odd habits? 15. How far is your villain willing to go to get what he wants? 16. What makes your villain unique and entertaining? 17. Does he have friends? If so, what are they like? 18. What binds your hero and villain together? 19. How are they similar? How are they different? 20. What will happen to the villain if his plan fails? 21. What does your villain value? What doesn’t he value? 22. How does your villain see himself? 23. What would he change about himself if he could? 24. Who does your villain admire? 25. Does he hate anyone? Who and why? 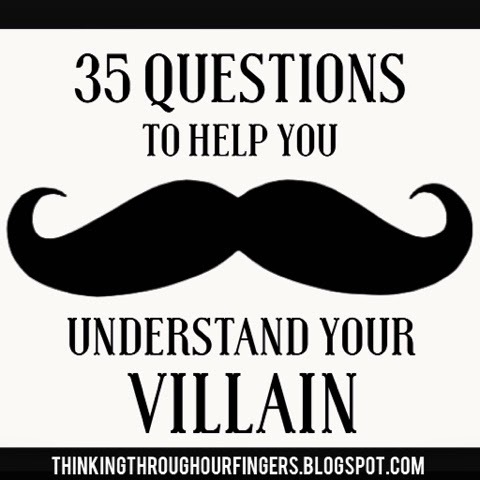 26. Who does your villain love? Or have a bond with? 27. What is the relationship between the hero and villain? 28. What makes your villain angry? Sad? Happy? 29. Why does your villain believe he’s doing the right thing? 30. How will your reader relate to your villain? Is there anything about the villain that makes him sympathetic? What qualities will your reader find redeeming? 31. What kind of education did your villain receive? 32. How does he speak? Does he use formal language? Or does he speak more casually? Does he use slang? Does he have an accent? 33. What kind of lifestyle does your villain live? Is he a high roller? Is he as poor as poor can be? Or somewhere in between? 34. Do you want your villain to look like a villain? Or to be an unexpected villain? What personality, physical traits and attitude will you give your villain to accomplish this? 35. What nefarious deeds has the villain committed in the past? Who are some of your favorite villains? Why do you think they work so well?